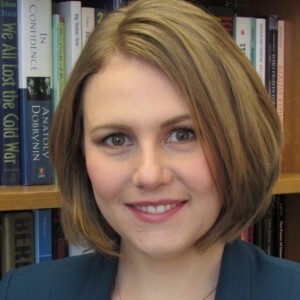 Danielle Lupton is an Assistant Professor of Political Science at Colgate University. She earned her Ph.D. in Political Science from Duke University in 2014. Her research investigates the impact of individual leaders on international security and foreign policy. More specifically, she is interested in how the behavior and characteristics of individuals affect the onset of interstate conflict, as well as how leaders use the tools of coercion to pursue their foreign policies. Her book manuscript examines how new leaders establish reputations in international politics. Her primary secondary research project investigates the influence of military veterans in Congress. Her research specialties include elite decision-making, reputation, coercion, political psychology, foreign policy, and experimental methods. Danielle Lupton's research agenda investigates how leaders affect the conduct of international security. Broadly speaking, her work considers the conditions under which these individuals substantively impact the escalation, onset, and duration of international conflict as well as how the characteristics of these individuals impact their states' national security and foreign policies. Her research is published or forthcoming in Political Analysis, International Interactions, Political Research Quarterly, and The Journal of Global Security Studies. Her work has been featured on ForeignPolicy.com and The Washington Post's Monkey Cage, and her media appearances include CNN and The New York Times. She is also a permanent contributor to Political Violence @ a Glance, where she engages in policy analysis of current events and international problems. Scholars remain conflicted over the effects of reputations for resolve on international conflict and which actors acquire these reputations. I address this debate by examining how our measures of resolve, as well as where we look for its effects, influence our conclusions about its impact on international conflict. Using data from the Archigos dataset and the International Crisis Behavior dataset, I perform a semi-parametric Cox survival analysis and directly compare the effects of resolute and irresolute behavior at two distinct levels of analysis: the leader level of analysis and the state level of analysis. My results show that target leaders who employ relatively more violent or more severe major responses to dispute triggers enjoy significantly longer periods of time before being the target of a future dispute initiated by the same challenger leader. While I also find a similar effect for target states that employ relatively more severe responses, the impact of resolute behavior at the state level of analysis does not appear to be as consistently widespread as that of resolute behavior at the leader level of analysis. My findings also show that how scholars choose to measure resolve as a concept can have important implications for their conclusions about its broader effects. Finally, my analyses present evidence that both leaders and states may be capable of acquiring reputations for resolve, opening up interesting avenues of future research. Are student subject experiment pools comparable across institutions? Despite repeated concerns over the “college sophomore problem,” many experiment-based studies still rely on student subject pools due to their convenience and accessibility. In this paper, I investigate whether student subject pools are comparable across universities by examining how respondents across three student subject pools at distinct educational institutions perform on the same survey experiment about crisis bargaining between states. I argue that, due to selection biases inherent in university matriculation and the self-selection of students into experimental protocols, respondents across these subject pools will exhibit key demographic differences. I also examine whether respondents across these subject pools think similarly about international politics and respond comparably to experimental treatments. I find that, while there are significant demographic differences across subject pools, subjects across institutions respond similarly to experimental treatments—with the key exception of information regarding the regime type of a state. Furthermore, there is little evidence that these demographic differences impact conditional average treatment effects across subgroups. These findings carry critical implications for the use of student samples across political science and within international relations more specifically, particularly regarding the current replication crisis in the discipline. How do leaders develop reputations for resolve across repeated interactions? While scholars find that leaders can acquire individual reputations for resolve, we know relatively little about how these leader-specific reputations form to begin with. This article examines how leaders develop reputations for resolve from the very beginning of their tenures and present three key hypotheses regarding these leader-specific reputations. First, statements are more influential to reputational assessments during initial interactions. Second, statements create expectations of future behavior, which interact with a leader’s subsequent actions to influence reputation development. Third, initial perceptions of resolve significantly condition later assessments. Through a process tracing survey experiment, I find evidence that resolute statements are more substantively influential during early interactions. I also find early perceptions of resolve do significantly influence later perceptions. Furthermore, statements create expectations of future behavior, and it is by meeting or defying these expectations that a leader’s reputation for resolve is improved or injured within the experiment. These results remain robust even when controlling for contextual factors, including state characteristics. The implications of these findings for both scholars and policy makers are discussed, and this study illustrates how individual leaders develop these reputations for resolve across interactions. When and why do friendly states deliberately share and unwittingly accept fabricated intelligence about others? Recent work on the interpersonal foundations of security cooperation suggests intelligence liaison is a type of embedded relationship that requires a dependable route for exchange (close personal ties) and a consistent record of exchange (reliably meeting expectations). We extend this argument to show that the relational embeddedness underpinning truthful intelligence liaison also explains the sharing of fabricated intelligence. We argue that intimate personal relations and a history of reliable exchange create a channel for effectively transmitting false information, for the recipient is unlikely to challenge its authenticity, and that violated cooperative expectations provide a reason for attempting to deceive a partner. Drawing on extensive archival research, we evaluate our theory by analyzing Britain's decision to share fabricated intelligence about Germany with the United States in 1941. While evidence from international security and civil-military relations shows that elites with military experience have distinct policy preferences from elites who have not served in the armed forces, the effects of military service are not apparent in congressional voting records on foreign and defense policy. If elites with military experience have distinct policy preferences, why has this gap failed to manifest itself in congressional policy positions? I argue that the effects of military service are most pronounced on issues where this experience is highly salient: on the oversight of war operations. Using a pooled cross-sectional time-series analysis of an index of roll call votes in the House of Representatives during the wars in Afghanistan and Iraq, I find that congresspersons with military experience are significantly more likely to vote to increase congressional oversight over war operations, including increased access to information and limiting the deployment of troops in theater. Further tests confirm these findings are not simply due to partisan effects. I discuss how my results carry serious implications for war termination and the declining number of veterans in Congress during the post-9/11 era, as well as the impact of military service on foreign policy and international security. Live interview on CNN - commentary on how veterans in Congress influence Congressional oversight of war operations. Commentary on the reputational effects of Trump's air strikes against Syria. Commentary on how the public and statesmen make judgments about foreign leaders and how those judgments can be difficult to change once established. Commentary on Trump's attempts to signal American resolve to North Korea. Special focus on Trump's use of rhetoric. With Roseanne McManus and Keren Yarhi-Milo. Commentary on Congressional debate over the Reauthorization for the Use of Military Force (AUMF). Special focus on the impact of military veterans in Congress. Commentary cautioning political candidates to avoid making bombastic threats or promises that they later may not be able to keep. Special emphasis on Trump's campaign rhetoric.